Luegolu3go Studios from Spain has announced working on the game "Nogalious: The Chronicles". It is is a retro-style platformer/puzzle game where you gain a few wizard abilities in order to progress and save the day. Nogalious is supposed to be available on multiple computer systems like PC, Amstrad and MSX. Nogalious, Mirilla and Dragorieta, is the trilogy that tells the story of how Marieta, the daughter of Nogalious, is captured by the evil Darama. In Nogalious, the first game in the trilogy, you'll have to complete the quests and fight courageously against the enemies fighting alongside Darama to prevent Nogalious from recovering his daughter. Nogalious is a 2D adventure with 5 universes created pixel by pixel, a vintage adventure inspired by the golden era of 8-bit video games. There's surtainly an MSX vibe here going on. 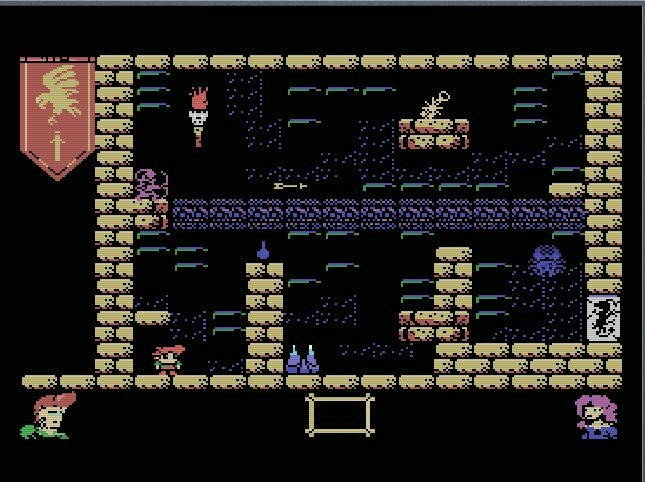 The trained MSX eye will discover influences of Maze Of Galious, Kings Valley and Penguin Adventure as well. Through five levels of play you must overcome all obstacles. Each world includes new challenges and new challenges that you will have to discover throughout your journey. Overcoming all the obstacles of each world will not be enough, you will have to fight in a battle of life and death to pass to the next world, in which you will end up with the villains and demons that fight next to Darama. Luegolu3go Studios has worked for more than a year to prepare this game and needs our help. By backing this campaign, you will become part of the process. During and after the campaign you are involved, whether it is voting on swords and whips, telling them how you play the games-as fast as possible, or exploring every hidden passage- or helping to find the perfect style for the graphics. Now, go back this plan and save Marieta! First MSX1 after that it we be MSX2 with a promotion for backers of MSX1 ;-) !!! Thank you for your support !!! Just for today #Halloween #nogalious #reward 150€ 200€ 50% back on #steam gift card. So, I have a question. What is the "exclusive backer-only content" that you get from the 50 euro MSX reward tier as opposed to the 35 euro MSX reward tier? The Kickstarter page doesn't really seem to specify. You can ask them on the Kickstarter page. It would seem that the target has been met!! Nice! Someone made a BIG last minute donation . Looking forward to the release. I haven’t backed (have to be a bit careful with money atm), but when the MSX2 version releases I’ll buy the cartridge for sure! My guess is that the team itself did quite some donations. If you count all the backers and their donations, there is a big gap to 25K. They raised enoough funds! Good luck! is there a way to see a msx version screen shot? There is some Msx gameplay kicking about. the msx1 version could be better. C64 version use 2 sprites for the main charater (sprites are in high res not multicolor). They also used two sprites on msx1, but they draw very badly the sprite without any tech reason. No updates for a while, neither in Kickstarter nor official webpage. I hope the game development is still going on. Maybe any video to keep us drooling while wainting for the game to be ready? @ Grauw: That's quite a pointed remark. They have removed the MSX version from their website. What's going on? 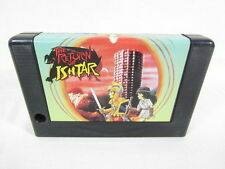 Not only the MSX version. All 8-bit versions are gone. But, maybe they are just doing some work on their website.